New space can offer the best of all worlds. It’s a fresh canvas to design around. It offers wide open spaces on which to build and create. The challenge becomes a bit more daunting when faced with a multitude of products, makes, and models that span across a family of brands. How do you showcase each one, giving it is proper due? 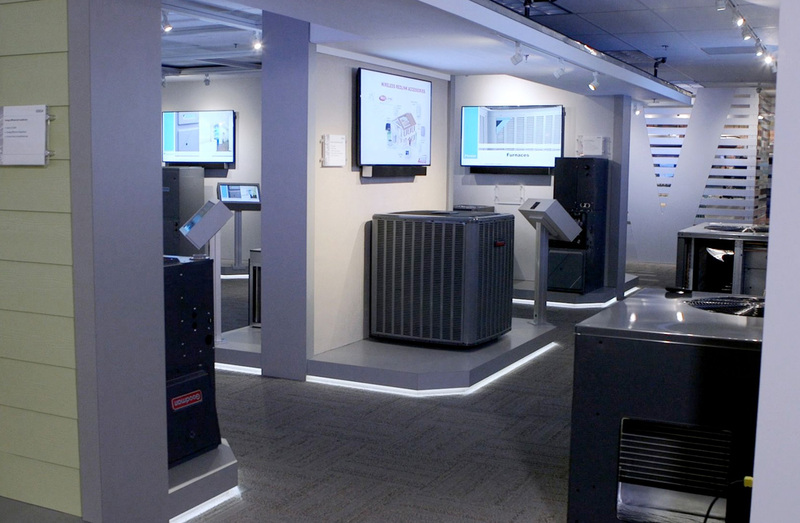 With this broad range of products and solutions from the Daikin, Goodman, and Amana brands, their new product showroom meets the varied needs of thousands of client visitors – in this case, HVAC dealers who would be traveling to this Houston-based product lab and showroom annually for training, education and to learn more. While function mattered, this entirely new space needed to be visually appealing, strategic in layout and design and, most important, go with the flow. As Charles Eames so aptly said many years ago, "The details are not details. They make the design." In the Comfort Solution Center, details reign supreme. Deliberate and intentional design and fabrication follow methodical discovery, with every angle carefully considered and each product featured in its rightful place. 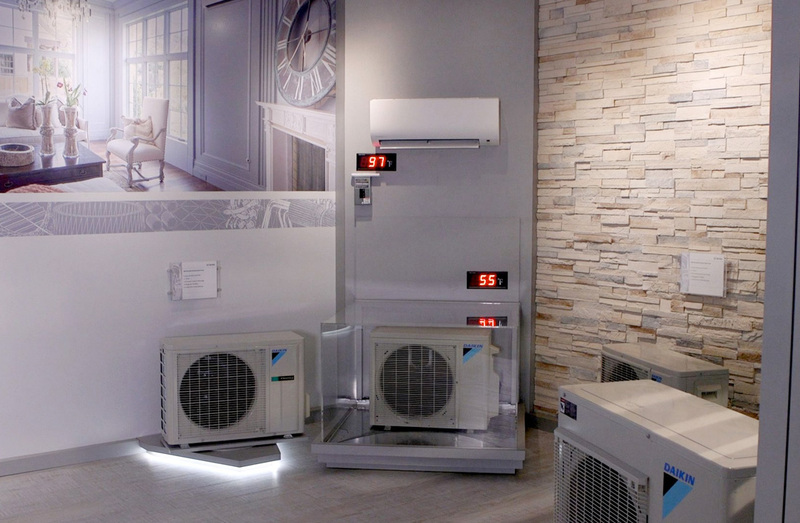 The smartly-planned design includes product-specific vignettes that sharply focus on ensuring that clients gain an immediate understanding of the innovative and energy intelligent solutions, in the right context. The residential product sits in a home-like setting, including a window with a view. The commercial products are in a decidedly more industrial backdrop. 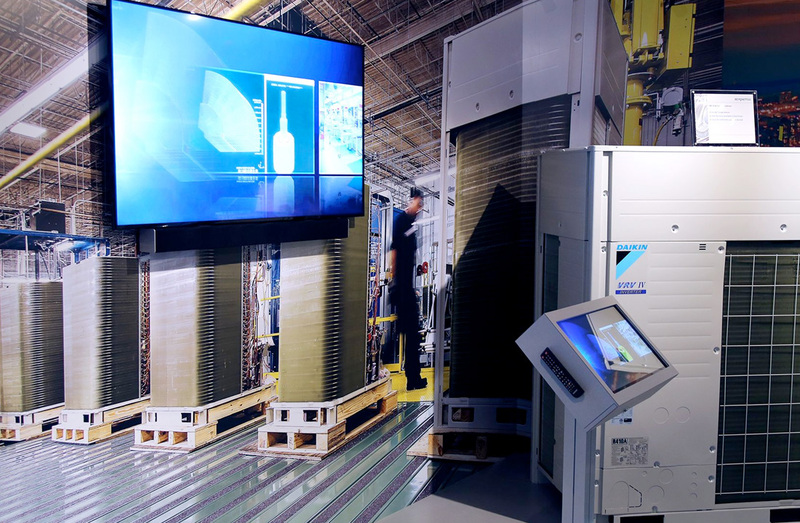 Technologies must be integrated; details must stay true to the brand throughout the CSC. 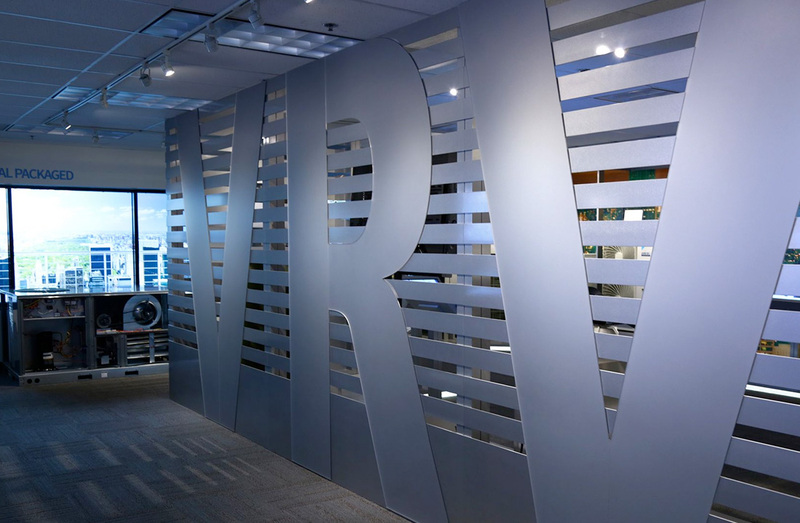 2020 Exhibits used materials as their not so secret weapon, employing it strategically on the canvas of fresh walls, faux exterior windows, ceilings and on each product display. 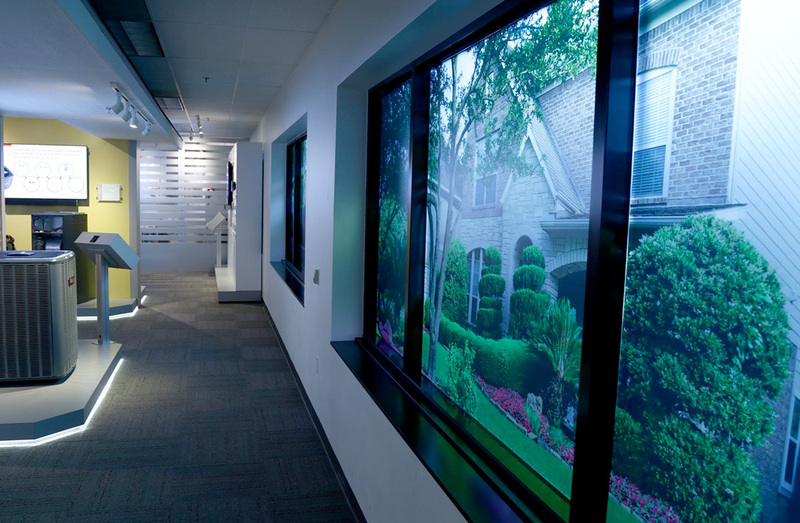 The materials and lighting strategies carry throughout the 3,000 square foot environment and space. 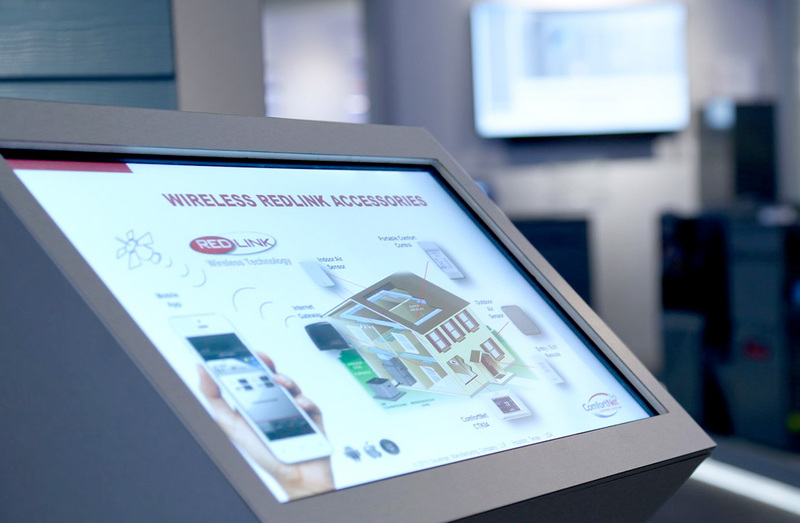 The Comfort Solution Center's communication and messaging subtly yet with strength tells not only the brand and product stories but deliberately and strategically showcases each one with precise messaging and wayfinding. Providing structure and direction, while achieving an important objective: Instructing, information and inspiring the intended audience. 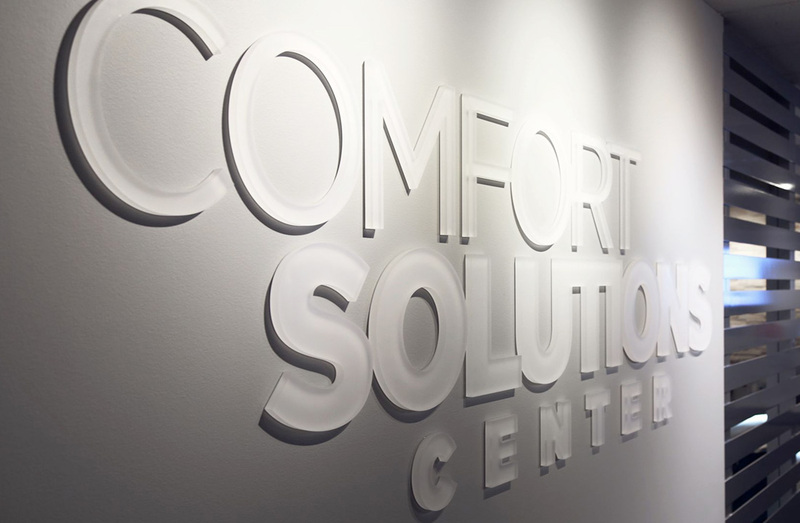 The Comfort Solutions Center - where art meets education. Cool.